The Eurosmart Mono Basin Mixer features a modern design with state-of-the-art features and comes supplied with an integrated pop-up waste for ease of use. 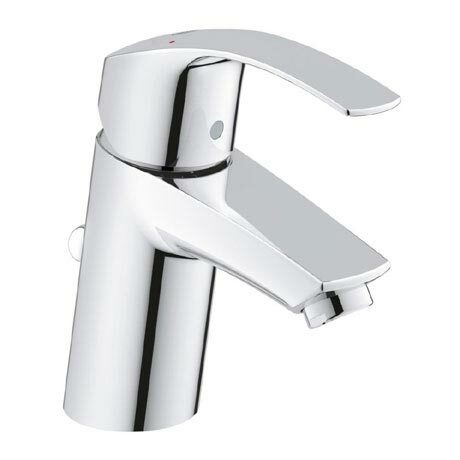 GROHE SilkMove® technology ensuring effortless lever operation. The GROHE EcoJoy® system is a unique water saving function that can reduce consumption by up to 50%. Crafted from high quality materials and finished in a special chrome coating that is scratch resistant and easy to clean. All Grohe bathroom taps come with a 5 year guarantee.